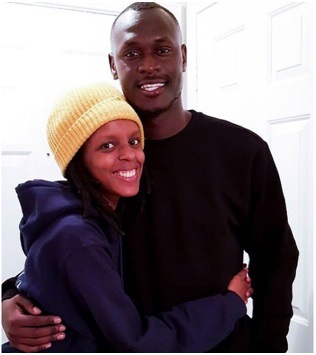 Wednesday, March 27, 2019 - Celebrated rapper, Kevin Ombima, popularly known as Rabbit or King Kaka, has endeared himself to Kenyans with this thoughtful gesture. The ‘Ligi Soo’ rapper visited ailing Kenyan media personality, Njambi Koikai, in hospital in Atlanta, United States, where she is receiving treatment for endometriosis. Njambi has been in the US for the last two years where she is admitted at the Center for Endometriosis Care for advanced treatment after she was diagnosed with Stage 4 endometriosis. She has been battling the condition for the past 19 years and which has seen her undergo 12 surgeries.